The area around London Bridge is somewhere I'm rather fond of. Thanks to a relative who used to live nearby, it's one of the first parts of the capital where I felt confident to wander around on my own. Meaning I have lots of happy memories from round about and know the streets with all their pubs, shops and tourist attractions pretty well. Or so I thought. 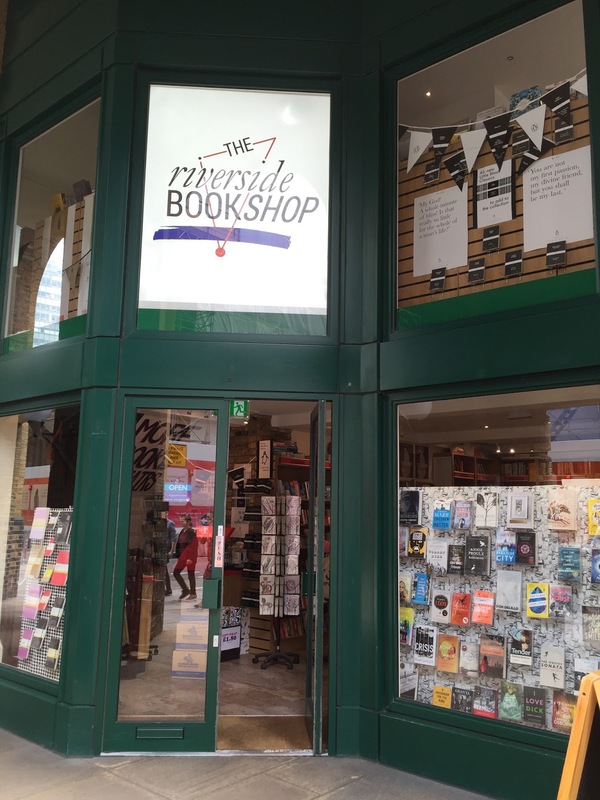 At the start of my Independent Bookshop Week bookshop crawl I found myself by London Bridge Station, searching for a bookshop I'd never visited. 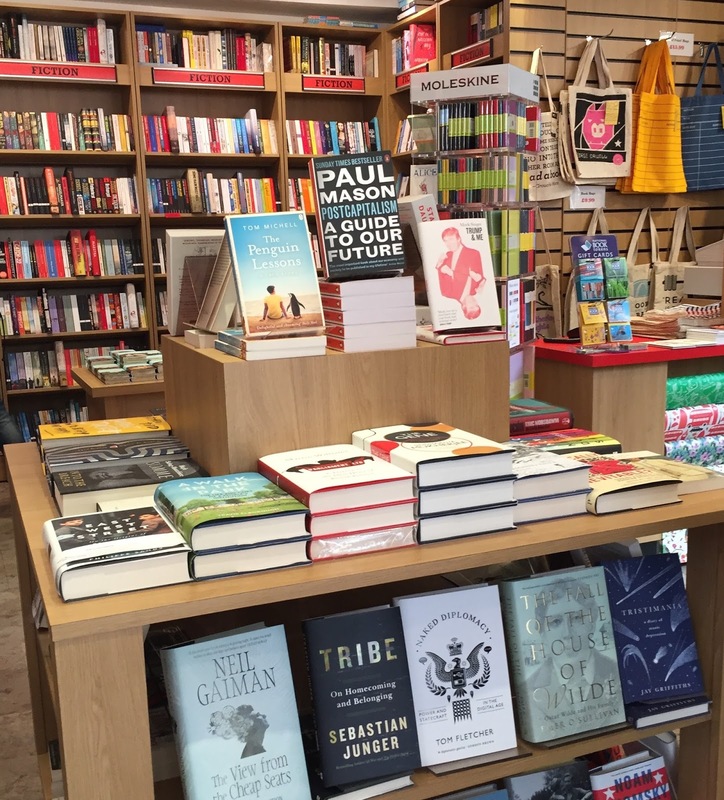 Given The Riverside Bookshop has been in situ for more than 25 years – and I was trying to impress my new boyfriend with my high level of bookshop knowledge – this was quite embarrassing. We arrived outside Hay's Galleria on Tooley Street with me wondering how I was going to recover the situation and him looking forward to kicking off the bookshop crawl. Thankfully, I spotted a map in the entrance which saved me from too many blushes. To save the rest of you from similar difficulties: head to the Tooley Street exit of London Bridge Station (the one where the London Dungeon is), turn right, cross the road and the bookshop is found on the street-side wall just past the entrance to the mall. Despite my wordy directions, it really is very close to the station. Even more thankfully, while he was polite enough to not comment on my geographical ignorance, my boyfriend was very impressed by the bookshop we found. Needless to say, I was too. A small, unassuming space from the outside – I'm ashamed to think of the number of times I must've walked past, head down, in a rush to get to the station – the bookshop opens up into a nice-sized room with a good selection of fiction and a cheery, colourful children's section. It's the kind of room you could happily visit and pick up a book if you find yourself with 20 minutes to wait for a train. Having said that, it's also possible to stay in the bookshop for much longer, especially because it's always a good idea to say hello to the bookseller too. 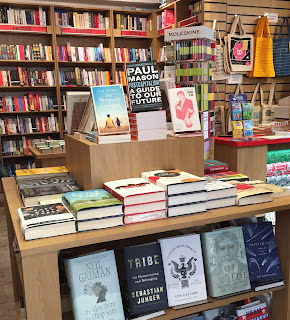 We enjoyed taking our time over the recommendations table, while the wall of fiction is well-stocked and inviting. If you're not waiting for a train, I suggest you also head upstairs to the non-fiction and sci-fi. We found ourselves particularly taken in by the actual science section, which was intelligent enough for him to appreciate while accessible enough for me to get into. Next time I'm loitering at London Bridge Station, this is the shelf I'll be returning to. For this visit we went back to the recommendations table, which was especially varied and served us both well. 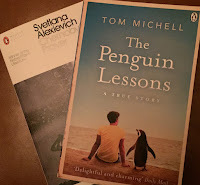 On the lighter side I selected a memoir, The Penguin Lessons by Tom Michell (which I paid for with my personalised book token*), while he chose Svetlana Alexievich's Chernobyl Prayer. 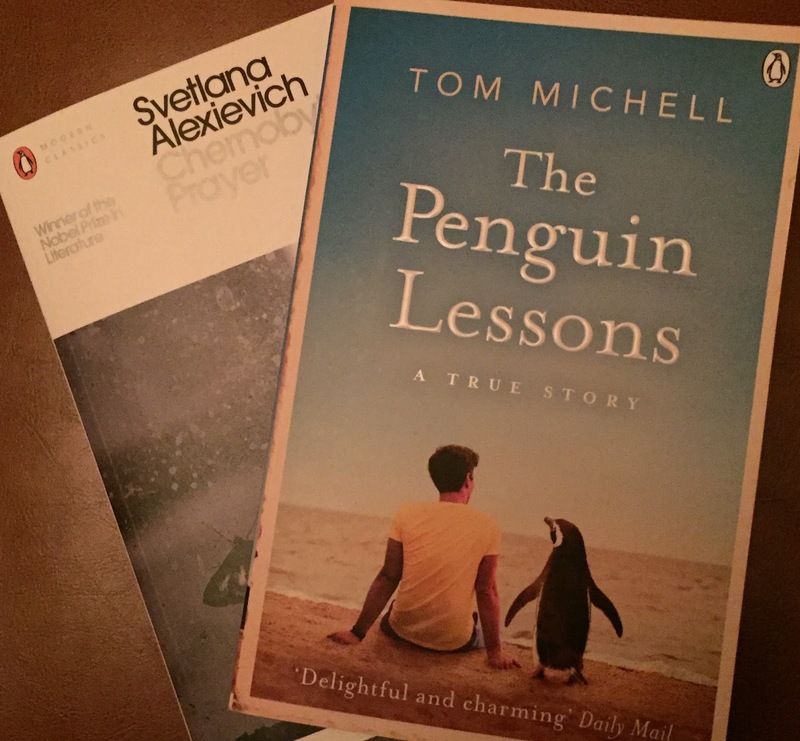 At the conclusion of our bookshop crawl, these were the books we turned to while in the train on our way home, which is pretty high praise given the amount of bookshopping we'd done that day. Now I've been, I'm very sorry I missed The Riverside Bookshop when I first came to know the area all those years ago. More importantly, I'm looking forward to making up for lost time. *Come back soon for more from me on this gem.